Another summer is flying by and a new school year is already just around the corner. 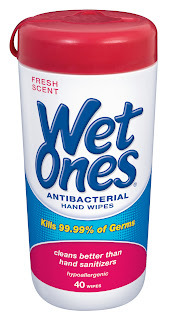 Although the kids may be getting excited, according to a recent survey of parents conducted by Wet Ones® Antibacterial Hand Wipes, about half are worried about their children getting sick and about one-third are concerned about their children being exposed to germs. To help teach children and families about the importance of clean hands and preventing the spread of germs, Bill Nye has teamed up with Wet Ones® Antibacterial Wipes for a series of fun and easy at-home experiment found at Wet Ones® Healthy Hands Zone, an interactive education resource at www.WetOnes.com. When asked what they most worry about when it comes to their children at the start of a new school year, about half of parents (49%) said getting sick, the second most popular response only to getting good grades. Additionally, about one-third of parents (32%) surveyed said they were worried about their children being exposed to germs. When asked what steps they take to keep their children healthy during the school year, the leading response from parents was that they encourage their children to keep their hands clean. More than two-thirds of parents (68%) cited the importance of clean hands, followed by getting enough sleep (67%), annual check-ups with a health care provider (61%), staying active (59%), a daily healthy breakfast (57%) and getting an annual flu shot (45%). Despite the fact that many classrooms and lunchrooms are not equipped with a sink where children can wash their hands during the school day, only one in four parents surveyed (25%) indicated that antibacterial hand wipes were a must-have item for their children to bring to school at the start of a new school year. While more than one-third of parents (34%) indicated that they or a spouse/partner is a stay-at-home parent and able to care for their children at home when they get sick on a school day, not all parents are as lucky. About two out of five parents (43%) said that either they or a spouse/partner has to take a day off from work when a child gets sick. And about a quarter (23%) of all parents have to take a day off work without pay. While nearly half of parents (49%) are worried about their child getting sick, they are also worried about the impact being out of the classroom can have on the child. In fact, more than one-fifth of parents are concerned their child will fall behind on school work (21%). 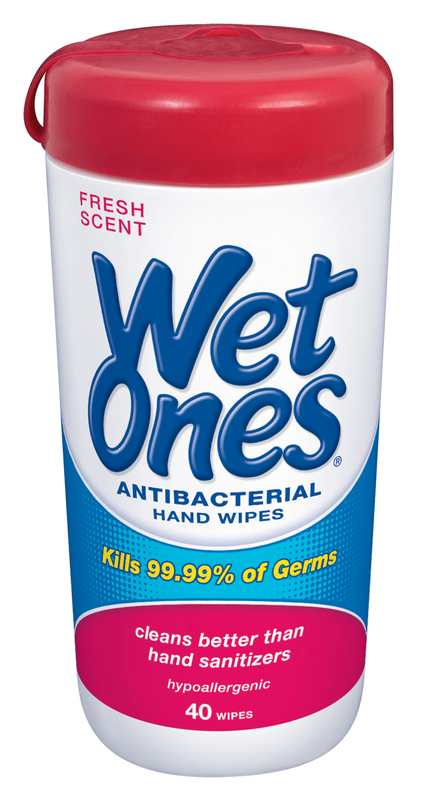 For more information on hand hygiene and Wet Ones® Antibacterial Hand Wipes, visit the Wet Ones Healthy Hands Zone™ page at www.WetOnes.com.